It was dull and overcast when I arrived in Buckden, but I was hopeful that it would improve as the weather forecast promised! I set off walking just before 11am and followed the bridleway SW up the hill. 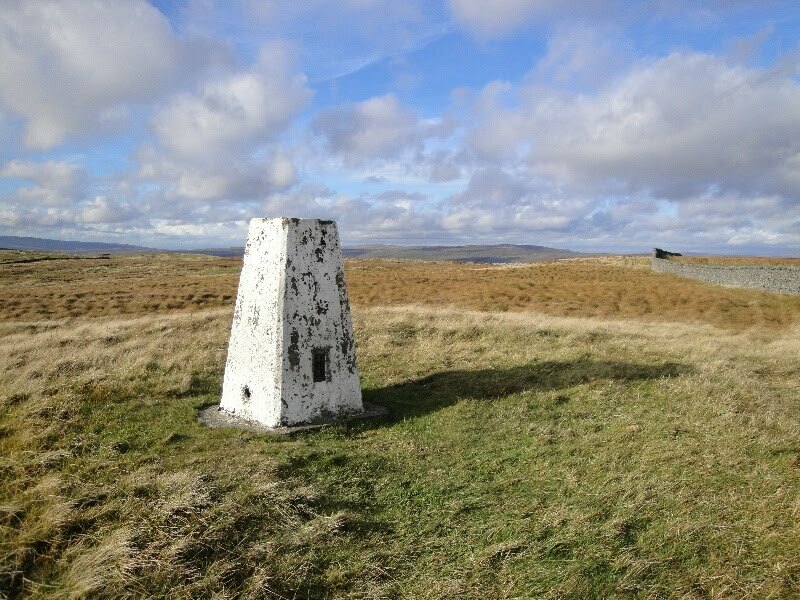 Near the summit of the bridleway, the path became flagged and I soon reached the trig point of Birks Fell, where I had lunch. 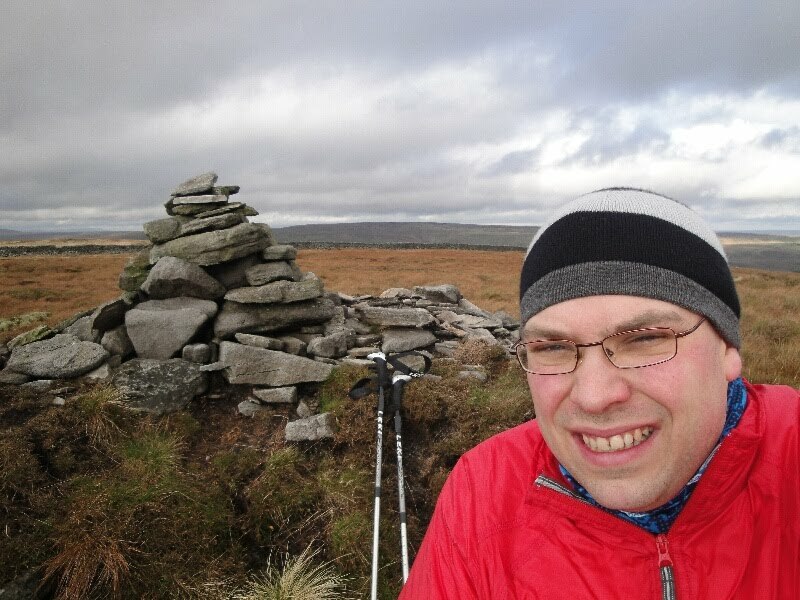 I then followed the pleasant moorland ridge for the 2km to the true summit of Birks Fell, which was my final 2000ft peak in the Yorkshire Dales. The going remained easy following the wall over Moss Top; however the next col was full of peat hags, which obviously slowed my progress down! By now it was quite sunny and pleasant, apart from the cool wind. 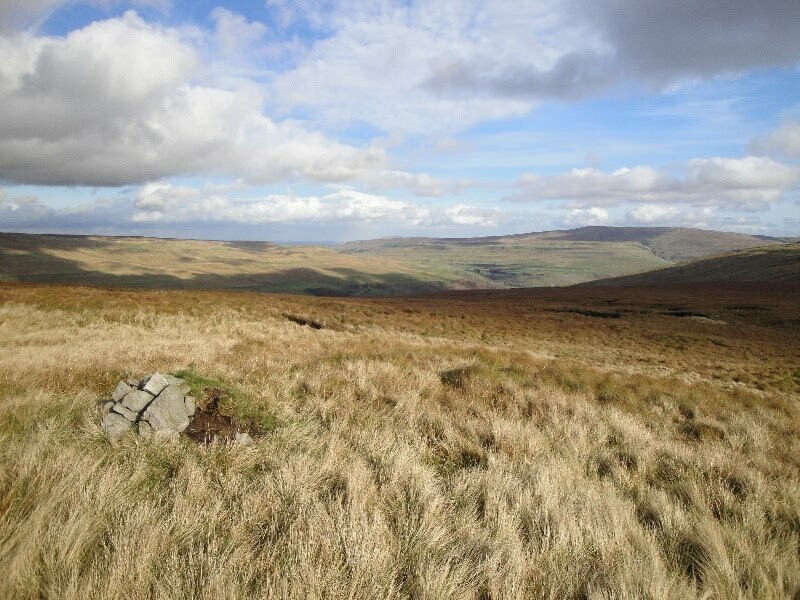 I soon reached the true summit of Horse Head Moor, from where I admired the view of many of the major peaks of the Dales. Continuing along the ridge, I detoured to the trig point on Horse Head Moor, before dropping down to Yockenthwaite. 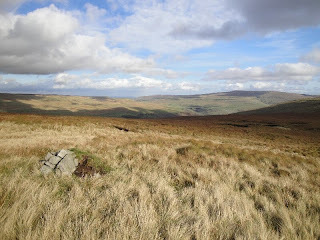 It was then a pleasant stroll back through Wharfdale, following the Dales Way to Buckden. Nice one Alistair - good to see you out and about again. Thanks. It was good to be out in the hills and the route was somewhat less peat haggy than I had been led to believe! I have managed a few other walks in the last couple of months, but haven't got round to blogging them yet.